You really can't ask for better service and experience. I have never met such a hard working and amazing family, truly inspiring. Thanks Sacha and Damiris! Damiris is a highly motivated professional with extensive real estate knowledge & a dynamic personality. As a result of her relentless efforts and personal commitment to us,we were able to purchase our ideal home at an affordable price. Damiris is a wonderful, caring individual whose passion for her job makes her the best in the real estate industry. Damiris is an exceptional individual. She made my first home purchase relatively painless. Damiris is knowledgeable, thorough and extremely personable. I wouldn't buy or sell another property without her! 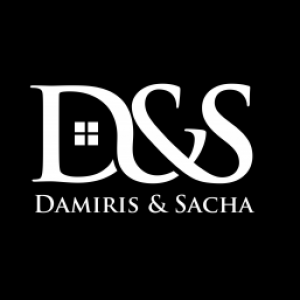 When looking to make a large purchase like a house u need to have some one that has some insight on this position, Sacha is very knowledgeable about his properties,and also the area in which they are in, which is very important. I made my first home purchase with Sacha and when i'm ready to move i think i will purchase from him again. I came to know Damiris Moro when she was helping me sell my house and get out of a difficult situation. Ever since I have come to know her better than just a real estate agent. Because of what I know about her I make sure I recommend her services to all my friends and acquaintances. Thank you Damiris for being who you are. Damiris is very professional, knowledgeable and definitely personable agent. Every question I had, she had an answer for and even the ones I didn't ask she provided the answers for too! It made buying my home painless, brainless and educational at the same time. I would definitely recommend her as an agent. Damiris is not only an agent but a friend. She has integrity, warmth, smarts and works exceedingly hard for each and every client. I would not hesitate to recommend her to anyone in an instance. She has done wonderful work for me as a real estate agent, and I hope she will do so again in the future. I would not call on anyone else. She is the best. Sacha was an excellent source of information and support. He was knowledgeable about the properties I was interested in, and really took great interest in matching my needs with the condos I saw. He was incredibly quick to respond via email/phone to any questions I had, and very hard-working (in fact, I am not sure if he sleeps at all). He was successful in negotiating an excellent price for my place, and looked out for my best interests. Overall, it was an enjoyable experience and not at all stressful. Will definitely recommend him, and look forward to working with him in my future purposes.